Lil Wayne. . Wallpaper and background images in the Lil' Wayne club tagged: lil wayne. 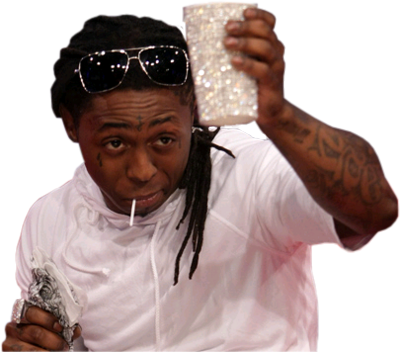 This Lil' Wayne photo might contain alkohol, minuman keras, minuman, rehat kopi, minum petang, and petang. some timez i relize dat in allmost every vid lil waynez dose he haz a stirofone cup...but i still lik hiz music hez awsome!!!!!! Lil Wayne [ Weezy F. Baby ] Petikan .